Don't make the mistake of not including Alexis Sanchez as he is about to take the Premier League by storm. The moment all football fans have been waiting for all summer is finally upon us - the resumption of the Barclay's Premier League. This Saturday, England's topflight gets back underway and that can mean only one thing - Fantasy Football is back. Here at WhatCulture.com we've been using Fantasy Premier League as our home of virtual football and we've even set up our own league. Each month, we will be giving away a series of prizes to the 'manager of the month' who can successfully guide their club to the top of the league throughout the season while for those of you who take the game slightly less seriously it can represent a simple bit of fun and a way to pass the time with tour friends. We've been pouring through the stats and keeping our eyes on the biggest transfers of the summer so far while incrementally building our teams over the course of the last few weeks and have decided to use our knowledge and passion for football to help give you a head start ahead of gameweek one this weekend. If you're still tinkering with your sides and fretting over who to buy as this Saturday's deadline for transfers looms into view, fear not, we have your back. We've put together a list of 10 essential players you must have in your Fantasy Football teams for 2014-15, and without further ado, here they are. 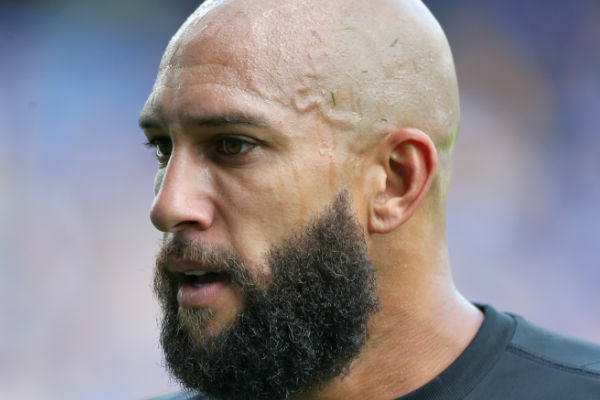 There were few goalkeepers better than Tim Howard at this summer's World Cup - and fewer still who had internet memes dedicated in their honour. Howard was one of the United States' stand-out performers at the finals in Brazil and nearly helped his country achieve a shock quarter-final berth. Against Belgium in the round of 16, Howard was at times a one-man team as he made a series of superb stops to deny the Belgians and even won the Nickelodeon Kids' Choice Sports Award for Best Save. Not only was he a hit with the kids but he was also something of a hero figure on internet chat-rooms with fans making images like the one below to celebrate his amazing performances (we think Ned Stark would have been grateful). 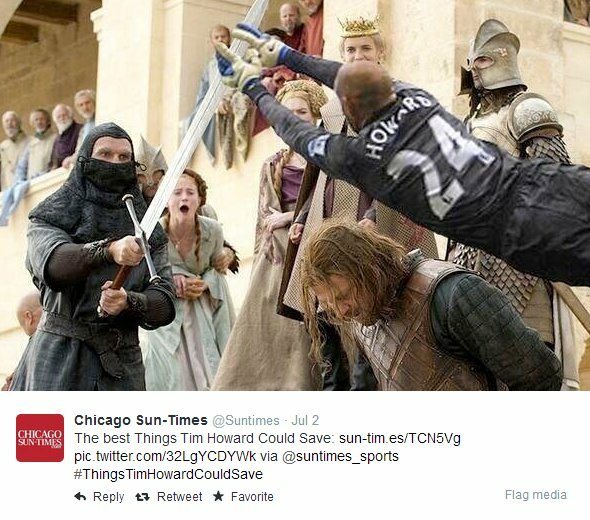 Another thing Tim Howard could save? MONEY. He's surprisingly cheap on Fantasy Premier League and will set you back just £5.5 million, making him one of the less-expensive goalkeeping options in this year's game. Everton enjoyed a good season last term, with Howard helping them finish fifth and qualify for the Europa League. If the Toffees enjoy a similarly successful campaign in 2014-15, they could keep a fair share of clean-sheets.